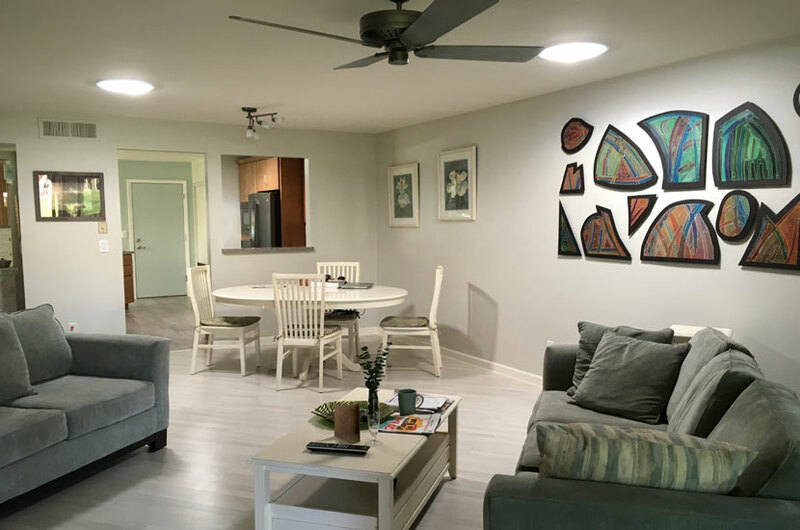 If you are searching for solar tubes or tubular skylights in Chandler, Glendale, Mesa, Peoria, Sun City, Sun City West or Surprise, Brandt Builders can help! We offer professional solar tube installation services to West Valley areas. Common search queries used to find our tubular skylight installation services include: solar tube installers, solar tube installers near me, tubular skylights, solar tube lights, solar tube installation, solar tube skylight and light tubes. FOR PRICING OR TO SCHEDULE INSTALLATION CALL BRANDT BUILDERS AT (623) 486-0960. Our 10″ solar tubes are great for 10′ X 10′ laundry rooms and small bathrooms. The average cost of our 10″ tubular skylights is $475 which includes the solar tube light and installation. Up to 250 SQ. FT.
Our 13″ solar tubes are great for 14′ X 15′ small kitchens, dens and home offices. The average cost of our 13″ tubular skylights is $525 which includes the solar tube light and installation. Up to 400 SQ. FT.
Our 18″ solar tubes are great for 20′ X 20′ large kitchens and family rooms. The average cost of our 18″ tubular skylights is $750 which includes the solar tube light and installation. Solar tube installation only takes about 2 hours total. First the installers will check rafter locations in the attic, take measurements and create markings where the roof holes will be cut into the ceiling. The installer will cut a hole in the roof where the collar will be installed. The collar is the upper portion of the solar tube. The installer will now cut a hole in your ceiling so they can install the lower portion of the solar tube to connect the 2 holes. Next is sealing the seams to prevent chances of moist air coming in contact with the interior of the curb cavity or flashing. For the last step we Install the light diffuser and trim ring. The average cost of solar tubes is about $475-$750 when professionally installed. Brandt Builders offers 3 different solar tubes to choose from. Our 10″ solar tubes costs $475, the 13″ solar tube costs $525, and the 18″ solar tube costs $750. You will need to add an additional fee for optional light kits. Add $75 for tile installation. How Long Does Solar Tube Installation Take? Solar tubes take about 2 hours to professionally install. IF YOU’RE LOOKING FOR AN AFFORDABLE, ENERGY-EFFICIENT WAY TO BRING NATURAL LIGHT INTO YOUR HOME, TRUST BRANDT BUILDERS INC.
WITH SKYLIGHT PRICES STARTING AT JUST $475 INSTALLED, YOU CAN’T AFFORD NOT TO CALL. FOR PRICING OR TO SCHEDULE INSTALLATION OF YOUR TUBULAR SKYLIGHT CALL BRANDT BUILDERS AT (623) 486-0960 TODAY. Copyright © 2019 Brandt Builders Inc. All rights reserved.